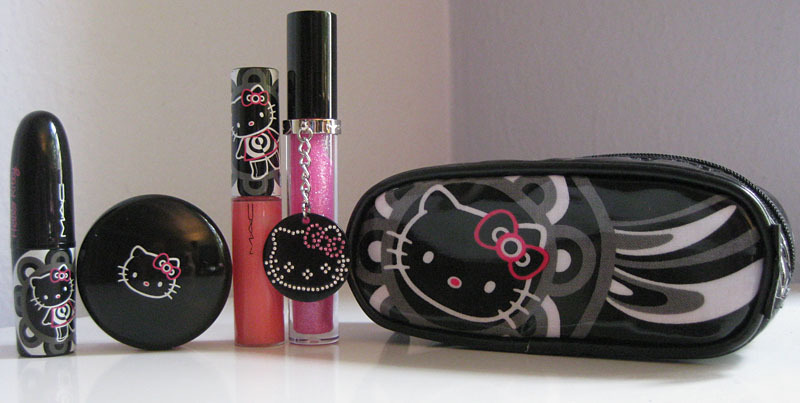 MAC Cosmetics has a new line of Hello Kitty-branded products. When I walked by a MAC store and saw the display, my head literally swung around for a double take and my legs refused to carry on. Pink and black and Kitty-fied goodness!! By the way, the lipstick itself is embossed with Hello Kitty, but I couldn’t get a good photo of that.